The Pastor (or Teaching Elder) is the primary leader of the church, the shepherd of our “flock” of believers in Jesus Christ. He guides and directs the congregation and its leadership in the love of Christ. Our current Pastor is Rev. Jim Emig. A brief biography appears on his blog; there, you can interact with him and read some of his thought-provoking and inspiring articles. You can also listen to some of his sermons. 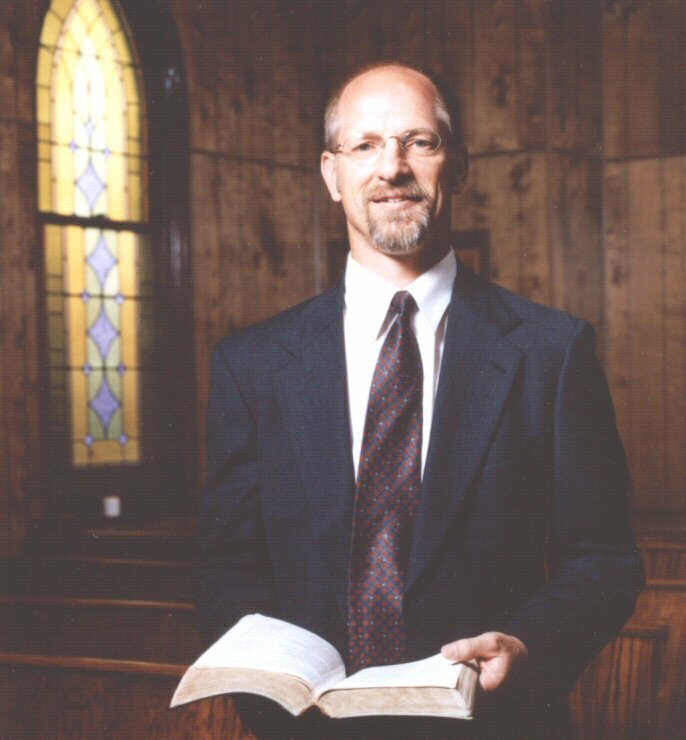 (If you would like to own one or more of Pastor Jim’s Sunday sermons on CD, please call the church office.) You can meet him in person at the Kiowa Chapel on Sunday after the worship service or you can also call him at 303-621-2376. The ministry of Deacon, as set forth in Scripture, is one of compassion, witness, and service, sharing in the redeeming love of Jesus Christ for the poor, the hungry, the sick, the lost, the friendless, the oppressed, those burdened by unjust policies or structures, or anyone in distress. Persons of spiritual character, honest repute, exemplary lives, brotherly and sisterly love, sincere compassion, and sound judgment are chosen for this ministry. Individuals currently serving our church as Deacons are Chip Meston, Peggy Adams, Deb Vieweg, Carla Martell, and Dulcie Jones. Ruling Elders, together with teaching elders (pastors), exercise leadership, government, spiritual discernment, and discipline and have responsibilities for the life of a congregation as well as the whole church, including ecumenical relationships. Elected by the congregation, they serve faithfully as members of the session. Individuals who undertake particular ministries, including Ruling Elder, are to be persons of strong faith, dedicated discipleship, and who love Jesus Christ, our Savior and Lord. Their manner of life is to be a demonstration of the Christian gospel in the church and in the world. Individuals currently serving our church as Ruling Elders are Donna Reese, Jan Erker, Betty Hood, Bob Claeys, Patti Saltzman, and Kurt Malerich. Collectively, the Pastor, Deacons, and Elders are referred to as the Session.